The PTA operates a Lunchroom on Tuesdays and Fridays. Students wishing to order lunch line up at the school hall kitchen servery before school, and parents wishing to help work on a roster to process the orders. The food is delivered to the classroom by senior students just prior to lunch. A price list is available from the office. Monday, Wednesday and Thursday: The lunchroom is closed. During terms 2 to 4 our Intermediate students participate in week long intensive STEM (Science, Technology, Engineering, Mathematics) units. 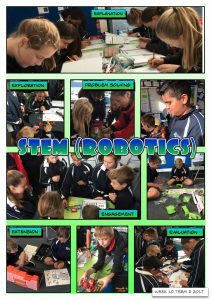 STEM focusses on teaching these disciplines together not seperately. 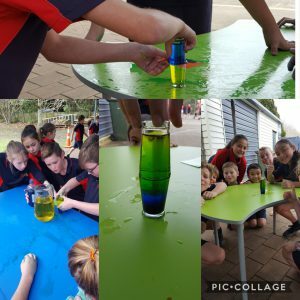 Real world problem based leaning is used to connect the STEM subjects together. All units involve hands on activities and incorporate NCEA style assessment aspects. 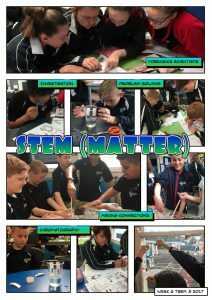 Our inquiry topic for Term 3 is “What’s the Matter?”. 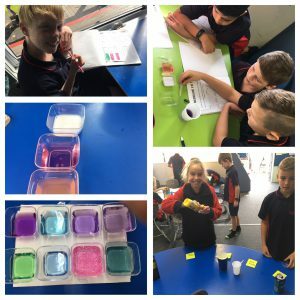 The Year 5/6 classes have been investigating the properties of matter and how they can be changed or manipulated. 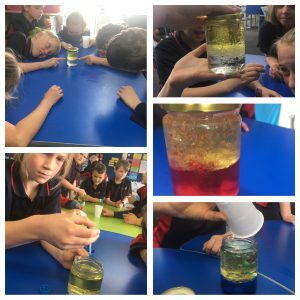 We have conducted a series of experiments in the classrooms. So far we have looked at the density of hot and cold water, chemical reactions, non-newtonian fluids, testing the pH of substances and more. This was a truly AMAZING event. We saw all our school values in action with well behaved and considerate children who demonstrated respect and nurture amongst their school friends. 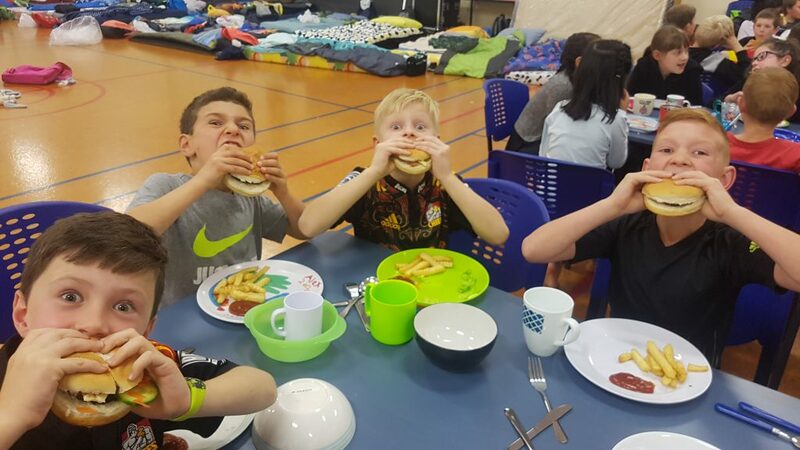 It was wonderful to see the levels of independence as children assumed responsibility for organising their own beds and washing and drying their own dishes. Thank you so very much to the superb parents who collected our groceries, or came and cooked and prepared dinner and breakfast for us, it was all done with such efficiency. Thank you to Mrs Corlett for organising our “wooden spoon” co-operative puppet shows, they were fun entertainment for us to watch. 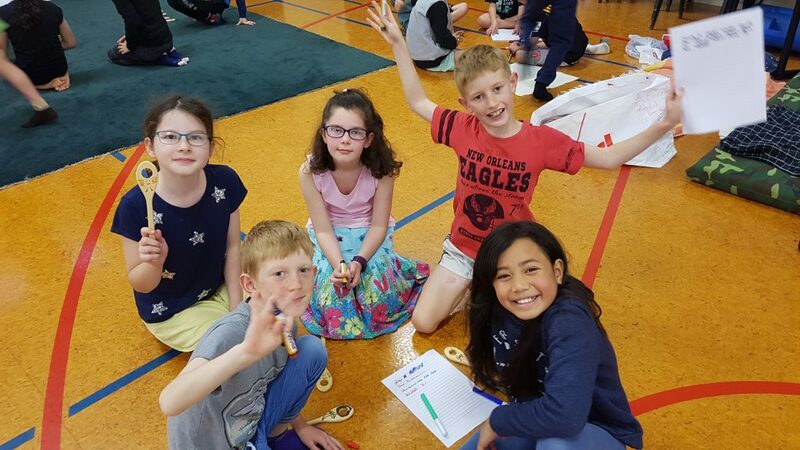 Thank you to Miss Maihi for organising our shopping list, arranging the parent helpers and for taking such amazing photos. 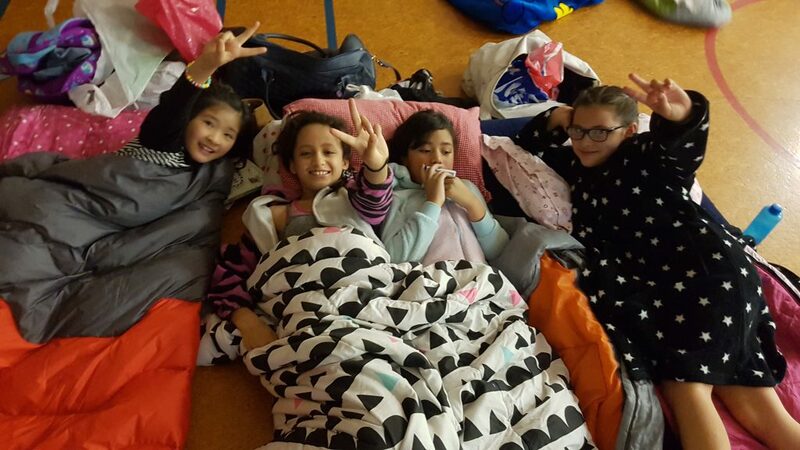 In Term 2, the year 0 – 6 classes conducted and inquiry into Ancient Civilisations. Each class focused on a different civilisation, and unpacked the culture, art, architecture and food that featured in each. At the end of the term, we came together and shared an item that featured aspects of our chosen culture. Pateke room focused on Egyptian culture, and created a wonderful dance! 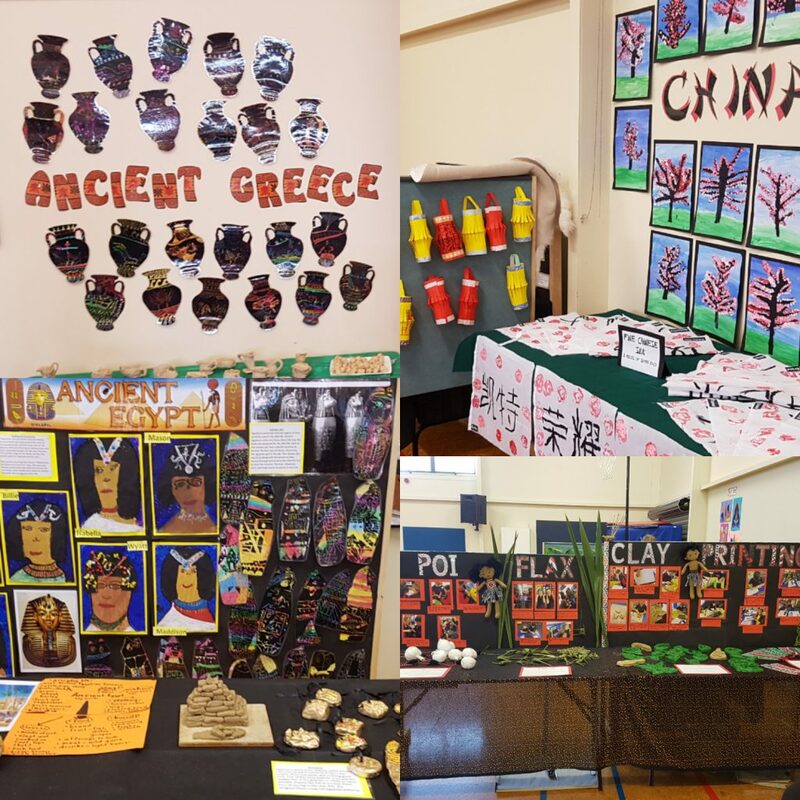 The classes also created a variety of exemplars of art, food and architecture and displayed it to the Karaka community and whanau! After delaying for bad weather, we had a lovely time in the sunshine. Well done to all the children who gave it their all! Thanks to Mrs Sutton for a fabulous Junior Athletics organisation – everything ran very smoothly. 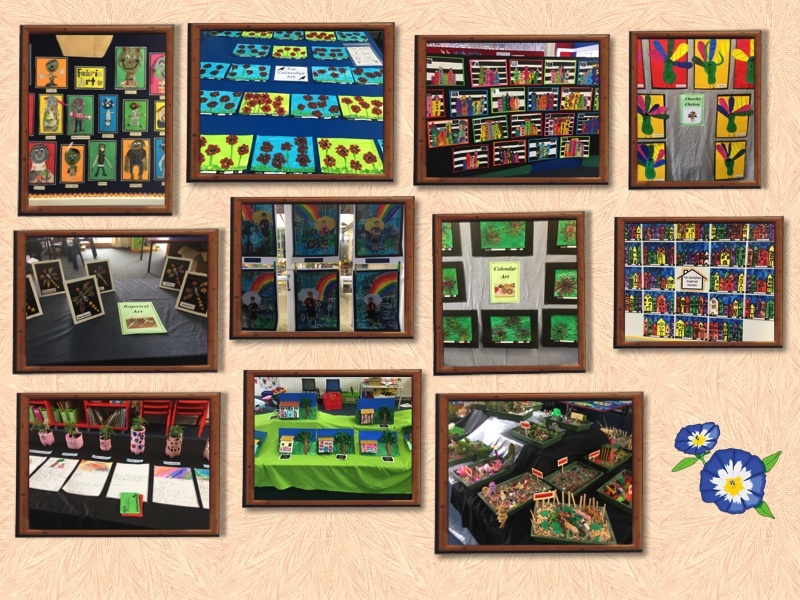 Here are just a few of the wonderful displays shared in theJunior classrooms for Ag Day. Well done children – the standard was very high and the judges had a tough job deciding on who to give prizes to. 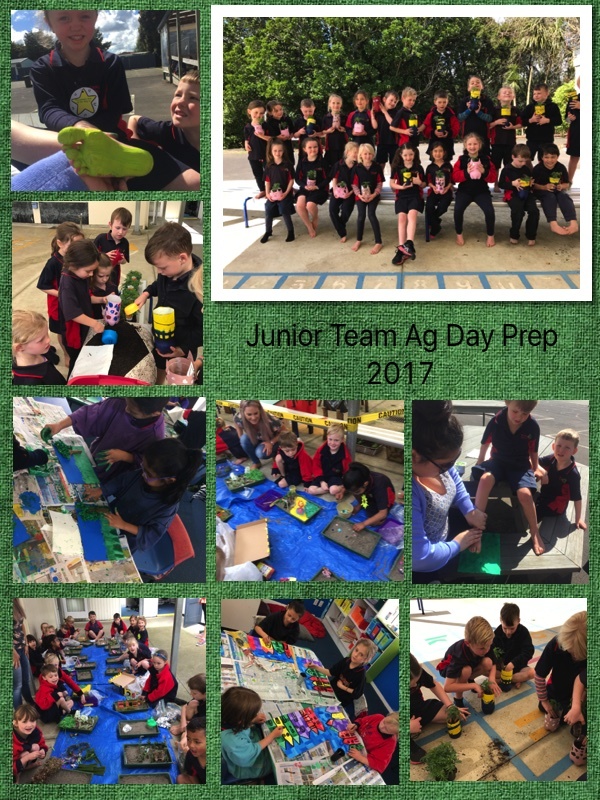 It has been a very busy time in the lead up to Ag Day. We are all excited and ready to go for tomorrow. Well done to all the children, you have worked very hard. Your teachers are very proud of you!